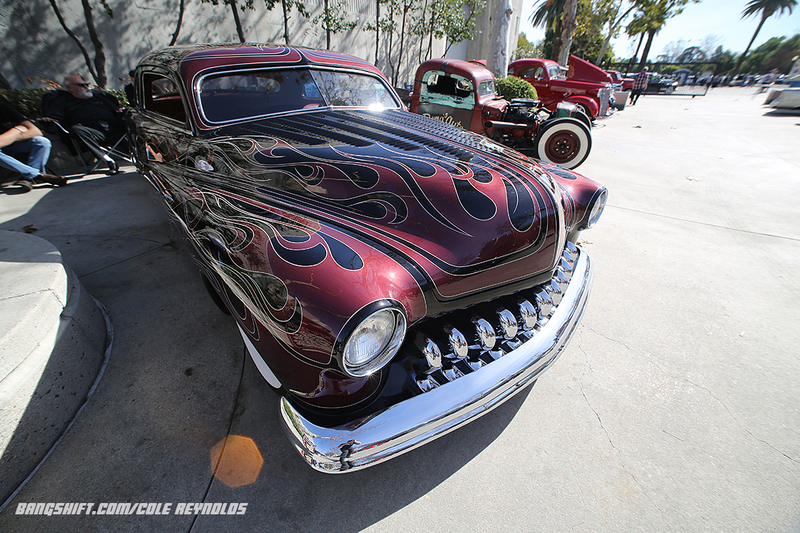 Our Grand National Roadster Show Photos Continue Right Here. Rods, Customs, Race Cars, Trucks, and More. 2019 marks the 70th anniversary of the famed Grand National Roadster Show at the Fairplex in Pomona, home of the NHRA Winternationals and World Finals. Every year, thousands of hot rods, customs, street rods, race cars, muscle cars, street machines, trucks, lowriders, and more, stuff the Fairplex in Pomona to the rafters. But while all those cars are fun to look at, and will make up a big portion of the fun you have on site, everyone is talking about the Contenders for the 2019 America’s Most Beautiful Roadster Trophy. It’s a 10 foot tall behemoth that is one of the most highly coveted trophies in custom car building. Scrapple, Your Guide To The "meh"-Worthy News! This Week: Just Plain Vanilla... 30 Year Trip: Check Out Hallsville Drag Strip Action From 1989 - Sportsman Fun! Not liking the fish-eye lens.